Lent is a season of repentance during which we are reminded of our mortality as on Ash Wednesday ashes are imposed on our foreheads with the words, “Remember that you are dust and to dust you shall return” (BCP 265). So with that in mind, let me ask you a rather morbid question— if you were to write your own obituary, what would you write? What defines who you are and what your life is all about? Many people define themselves based on what has or has not been done by them—their professional accomplishments, or their academic achievement, or their athletic prowess or musical talent or creative ability or lack of any of the above. Some people define themselves based on their family—how wealthy or distinguished or revered their family is in the community, or by how successful or unsuccessful their kids may be. Some people define themselves by the college they attended (or their kids attend) or what college they root for, or by their political party or their sexuality, or their relationship status, or by what kind of vehicle they drive, or where they go for vacation, or what part of the country they are from, or what kind of music they like. Some people define themselves by the bad things or wrong things they have done. Other people do not define themselves by what has been done by them, but by what has been done to them—by a physical illness, or by a tragedy like an untimely death in the family, or by being the victim of abuse, or by being done wrong by some corporation or the government or the school system or the church. They are victims who are defined by what has been done to them. Sometimes Christians define themselves as Evangelical or Catholic or Pentecostal, or by what denomination they belong to—Baptist or Southern Baptist or Presbyterian or Methodist or Assemblies of God or “non-denom.” There are approximately thirty-five major Christian denominations in the United States and hundreds more minor denominations. In fact, it’s very American that if you have had enough of your current denomination, you can even start a new one. Or how about clergy in the Episcopal Church? 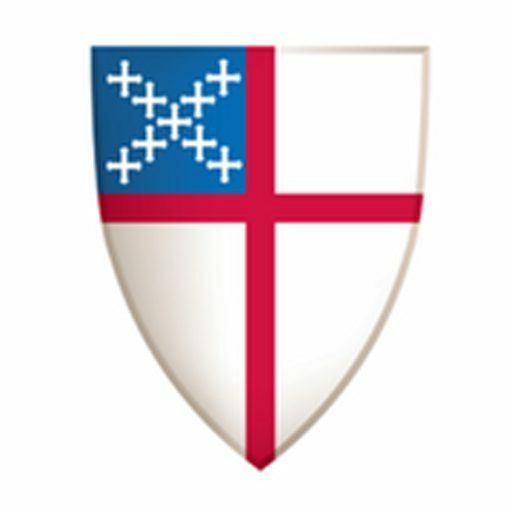 Did you go to Virginia Theological Seminary, or Sewanee, or Berkeley Divinity School at Yale, or Nashotah House or some (God forbid) non-Episcopal seminary? Are you liturgically “high church” or “low church” or “broad church”? Do you wear a chasuble or a cassock alb or a cassock and surplice? Do you use only the 1979 Book of Common Prayer, or do you use new experimental liturgies, or do you insist on only using the 1928 Book of Common Prayer? Do you wear a Roman style collar or an Anglican style collar? Is the music at your church strictly traditional hymnody or renewal or contemporary? Do you prefer to be called “Father so-and-so” or “Mother so-and-so” or not? You may think I am being silly, but Episcopal clergy are quite susceptible to defining themselves in these ways. But when it comes to the gospel we are ultimately defined neither by what has been done by us nor by what has been done to us. Instead, we are defined by what has been done for us—and not just for us but for the whole world—in the death and resurrection of Jesus Christ. The defining word about your life belongs neither to you nor to anyone else, but to God. You are defined by the grace of God. During his second missionary journey the Apostle Paul planted the first Christian church in Europe, the church in Philippi. The first members of this church included a wealthy merchant named Lydia who led a women’s prayer group that met by the river, a slave-girl out of whom Paul had cast a demon, and a jailer and his family. The planting of this church in Philippi involved what you may expect, preaching of the gospel of God’s unconditional love and grace in Jesus Christ—which is the only true gospel—and a prayer group, but also what you may not expect, including Paul conducting an exorcism, being arrested and flogged by Roman soldiers, being imprisoned and chained to a wall only to experience an earthquake during which his chains fell off and he was free to go. But instead of fleeing the prison, Paul remained and baptized the jailor and his family (Acts 16). Most books, seminars or workshops about church planting include marketing strategies and demographic research and action plans, not exorcisms, imprisonment and earthquakes. But the Holy Spirit moved through the Apostle Paul and the Holy Spirit moved through those events and created the first church in Europe. Several years later the Apostle Paul was imprisoned again, this time in Rome, and while there he wrote his Letter to the Philippians. If anyone else has reason to be confident in the flesh, I have more: circumcised on the eighth day, a member of the people of Israel, of the tribe of Benjamin, a Hebrew born of Hebrews; as to the law, a Pharisee; as to zeal, a persecutor of the church; as to righteousness under the law, blameless (Philippians 3:4-6). If you unpack this you will find that Paul’s being circumcised on the eighth day was in accordance with Old Testament law (Leviticus 12:3), that Paul was a pureblooded Hebrew—as opposed to being of mixed ethnic descent like the despised Samaritans, that he was from the tribe of Benjamin—one of the two sons of Jacob’s favorite wife Rachel, that he was a brilliant Pharisee whose passion for keeping God’s law was so strong he persecuted the church whose faith was not founded on keeping God’s law but on God’s forgiveness and love in Jesus Christ. Five times I have received the forty lashes minus one. Three times I was beaten with rods. Once I received a stoning. Three times I was shipwrecked; for a night and a day I was adrift at sea…in toil and hardship, through many a sleepless night, hungry and thirsty, often without food, cold and naked. And besides other things, I am under daily pressure because of my anxiety for all the churches (2 Corinthians 11:24-25, 27- 28). Paul knew that he was neither defined by what had been done by him nor by what had been done to him, but by what had been done for him. Paul knew that he was defined by the grace of God, a grace he personally experienced in an encounter with the Risen Jesus on the road to Damascus (Acts 9:1-9), a grace that marked a brand new direction for his life. Yet whatever gains I had, these I have come to regard as loss because of Christ. More than that, I regard everything as loss because of the surpassing value of knowing Christ Jesus my Lord. For his sake I have suffered the loss of all things, and I regard them as rubbish, in order that I may gain Christ as be found in him, not having a righteousness of my own that comes from the law, but one that comes through faith in Christ, the righteousness from God based on faith. I want to know Christ and the power of his resurrection and the sharing of his sufferings by becoming like him in his death, if somehow I may attain the resurrection from the dead (Philippians 3:7-11). Not that I have already obtained this or have already reached the goal; but I press on to make it my own, because Christ Jesus has made me his own. Beloved, I do not consider that I have made it my own; but this one thing I do: forgetting what lies behind and straining forward to what lies ahead, I press on toward the goal for the prize of the heavenly call of God in Christ (Philippians 3:12-14). The grace of God not only defined Paul’s life, it gave him a brand new start in his life—“I press on to make it my own, because Christ Jesus has made me his own…forgetting what lies behind and straining forward to what lies ahead, I press on.” Paul did not define his life by what had been done by him or to him, but for him by the grace of God. In this Letter to the Galatians he put it this way: “The life I now live in the flesh I live by faith in the Son of God, who loved me and gave himself for me” (Galatians 2:20). The grace of God defined who Paul was and what his life was all about. Think about your life for a moment. Perhaps you have defined your life by the good things done by you, or things that should have been done by you but you dropped the ball or did not follow through. Or maybe you have defined your life by the wrong things done by you, things that if you could go back and undo you would, but there is no rewind button for your life. Or perhaps you have had some awful things done to you or said to you that have defined your life or how you see your life. The gospel transcends all that. Your life is defined by the grace of God. The grace of God gives you a brand new start. The grace of God gives you the ability to press on—to press on regardless of what has been done by you, to press on regardless of what has been done to you, to press on because of what God has done for you, to press on because Jesus Christ loved you and gave himself for you and made you his own. The grace of God reminds you that you are a beloved child of the loving God. The grace of God means that you are indeed what will be said at the commendation prayer at your funeral: a sheep of God’s own fold, a lamb of God’s own flock, a sinner of God’s own redeeming (BCP 483). You are defined by the grace of God.